English gum is the easiest and most popular way of knitting, especially for beginners. Convenient to use this when knitting scarves. For scarf length is 2 meters (scarves of this type are usually this long) will need 400 grams of yarn and needles № 3,5. Enter an odd number of loops. The first row provarite according to the scheme: 1 edge loop, 1 front, 1 purl. So repeat to end of row. The penultimate loop — back, last — edge. Second row and all subsequent knit: 1 edge hinge, 1 cap, 1 facial (no stitches), 1 purl, and so on until the end of the row. Thus, alternating the first and second row, get a scarf, knitted waffle-knit. You can link the scarf is waffle-knit from two colors. It is better to choose knitting yarn of contrasting colors then the scarf will turn out very beautiful. You will also need circular needles. First, enter an even number of stitches + 2 edge loops with a thread of dark color. 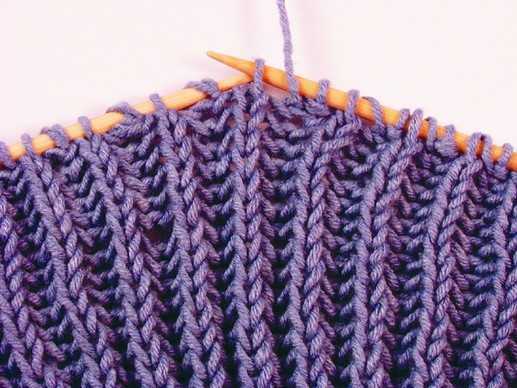 Next, knit the first row: 1 edge, 1 face, then straight yo, the next loop off right needle, not promazyvaya. All of this will repeat until the end of the row, the last edge loop are finished always wrong. Second row knit bright thread – 1 edge loop, 1 inner loop plus yo, the front loop with nakida together provarite the front, then repeat. The third row start with dark threads according to the scheme: 1 edge, the reverse with stitches provarite together wrong, do yo remove the front and the loop. Repeat this scheme until the end of the row. The fourth row again knit a light thread: 1 edge, make a yo, remove the front, the reverse with stitches are finished together purl, repeat to end. Then everything will repeat from the second row. In the end you'll have a fluffy, two-tone scarf, which your loved ones will wear with pleasure.